The brake system is one of the main areas of the car — it is crucial for safety. This concise article lists 5 warning signs that the driver may need new brakes, including a soft pedal. Additionally, it explains factors that lead to tear and wear of brake pads and provides recommendations to help drivers maintain the longevity of the brake pads. Your brake system is one of the most important components of your car. Still, there are a whole lot of car owners out there who do not consider brake maintenance a priority–until something goes wrong. Don’t make this mistake. For the brake system to keep working correctly, certain pieces have to be replaced at regular intervals. Among those components, those which you will probably be changing out the most frequently are the brake pads. Learn the warning signs that your brake pads might be failing, so you’re able to schedule replacement or repair for peace of mind and security. In most modern cars, the front two wheels have a braking apparatus that rely on what are called rotors: metallic disks located behind each wheel. Above each of them is a clamp-like apparatus known as the brake caliper. 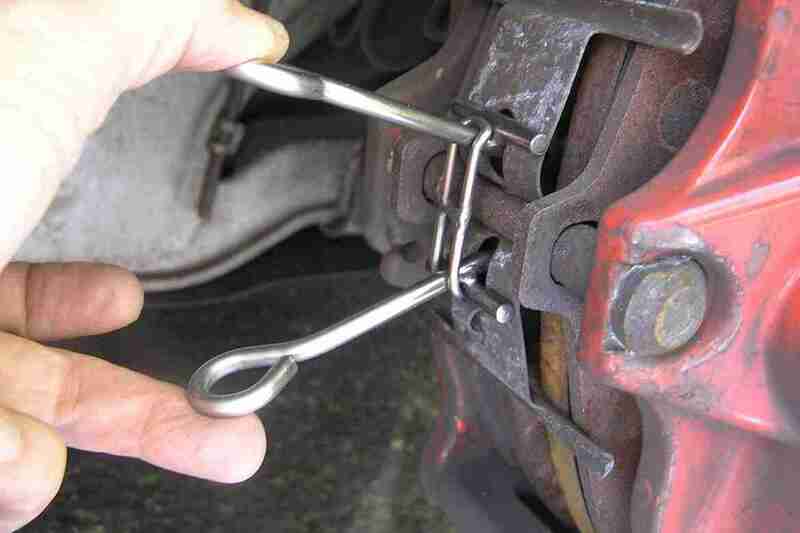 When you hit your brake pedal, the calipers begin to close, squeezing the rotors out of either side. This action generates friction, which causes the wheels to spin more slowly till they come to a complete stop. new ones installed in the first indication of trouble. How often do you need to change brake pads? Generally, brake pads will need to be replaced after about 50,000 miles. Some need to be replaced after 25,000, while others can last for 70,000 miles — it all depends on many things. To have a more precise number for your car’s specific needs, consult the operator’s manual. City driving, which includes a good deal of stop and go traffic, is more challenging on brake pads than rural or highway driving, so urban motorists might want to change the brake pads more often. Likewise, if you’re riding the brakes as you are cruising up and down the hills every weekend, you might need to replace your automobiles brake pads more often. Driving style affects brake pad longevity, also; if you brake slowly, you’ll get more mileage from brake pads than if you slam on the brakes into a hard stop often. While safety is always a top priority, you might consider changing your driving habits and be gentler on your brakes. Brake pads are the part of your braking system which absorbs energy and heat and gives the grip required to stop your vehicle. And they take the brunt of the frictional force once the brakes are applied, and thus they need regular maintenance. Luckily, brake pads are designed to show clear signs when they have to be replaced. If you can listen to your automobile braking, it is likely that it requires your attention. Worn out brake pads will frequently make a sound like metal grinding if your car is in motion, and the noise will get louder as the brakes are pumped. 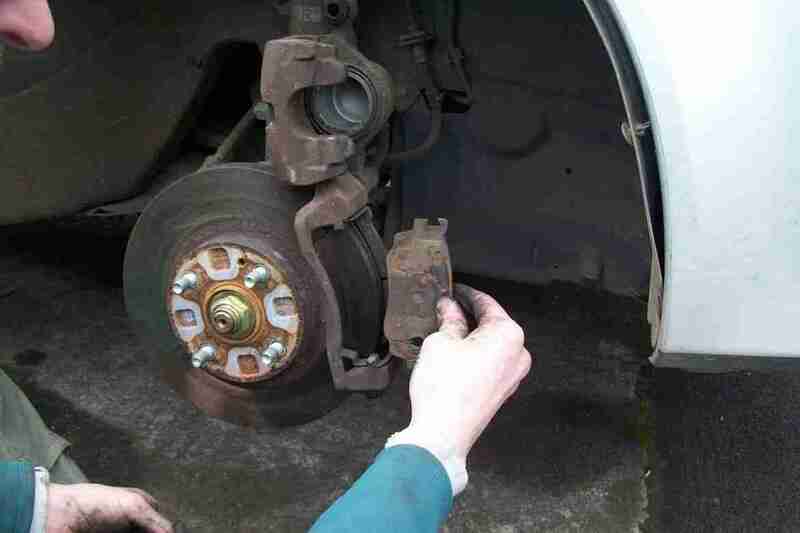 Consider any strange noise in your braking system a warning sign that the pads should be assessed. Check for their depth. Normally, brake pads should not be thinner than 1/4 inch. Some brake pads are made with a slot at the center that serves as a wear indicator — it is a little piece of metal which contacts the brake rotor once the pad was worn to a specific level. After the wear index grinds against the rotor, it will inform you with a squealing sound. A by-product of brakes under normal operation, brake dust is a combination of metallic particles which wear off the surface of the pad. Noticing cleaner-looking wheels is often a signal brake pads need replacement. A vibrating steering wheel can occur for lots of reasons. It might mean bent rims, your tires will need to be rotated, or there is an issue with your braking system. If the steering wheel vibrates only when brakes are applied, it is likely the latter. Begin by inspecting the brake pads. If your brake pedal feels spongy, slow to react, or if you end up needing to press down farther than usual on the pedal, it might be an indication of brake pad wear. Also, focus on the positioning of your car as you are in motion — if it has a tendency to pull to one side, this may also be an indication. Do not wait for these signs to become evident. Check your brake pads every 12,000 miles or 12 months, or consult with your car’s owner manual to discover what’s ideal for your car. Proper brake pad maintenance means fewer costly repairs and peace of mind knowing that you can always stop safely.